sugarsplace has no other items for sale. I only use genuine HP cartridges in my 13 year old PhotoSmart HP Printer. I believe this is the primary reason this printer has worked so well. This is advertised as authentic and new and I didn't find anything to disprove that. My printer accepted it with no problems and the ink runs smoothly. If it lasts as long as the ones I buy at office supply retail stores, I'll be a repeat buyer! 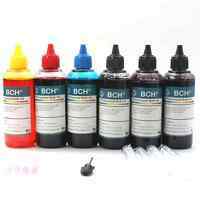 An out-of-date ink cartridge is still far superior to any so-called remanufactured ink cartridge as long as it's not completely dead. I've used cartridges as much as 3 years out and they were still good. These 2 cartridges I just got were only about 6 months out so they should, and are currently doing so, working as good as new. 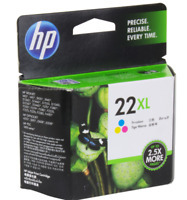 Hp cartridges are the best am hoping these will work good for me as all the ones I have gotten this time around. As long as they say HP on the cartridge they usually work in my printer. I have not noticed any change in color. I may have to clean once to get these black ones to straighten out so they don't streak on me but that is it and they work great after that. So for the price I pay for them these are a good working cartridge verses what you pay else where.